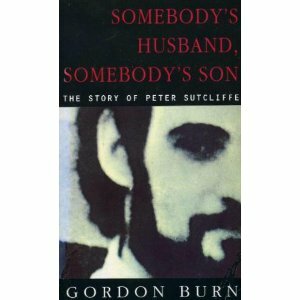 Somebody’s Husband, Somebody’s Son: The Story of Peter Sutcliffe was one of the first true crime books I read and it remains one of the best I have read. Written by the late Gordon Burn in 1984, this book is a study of the serial killer known as the The Yorkshire Ripper who killed 13 women in the late 1970s and 1980 and was sentenced to life in 1981. Gordon Burn spent three years living in Sutcliffe’s home town of Bingley, researching his life and absorbing the environment that led to his telling of the life of the man who had the North of England in fear during the 1970s (which wasn’t the most positive decade anyway in Britain). Burn’s writing transplants the reader right into the life of Peter Sutcliffe and quite successfully into what Burn imagines is his mind. This book is a modern true crime classic, written long before the “true crime” genre became so popular. It is oft likened to Truman Capote’s In Cold Blood. Peter Sutcliffe is jailed at the infamous Broadmoor Psychiatric Hospital for the criminally insane.